Venue: 3rd Floor, BSR Memoirs, #15, New BEL Road, Chickamaranahalli, RMV 2nd Stage, Bangalore 560094. We are looking for experienced web developers specializing in PHP to help build our application. 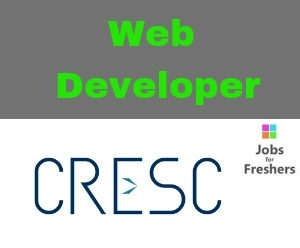 We are looking for someone who has a deep understanding of how the web works, has experience with large enterprise applications and has a strong sense clean, maintainable code. Developers will be expected to collaborate and share knowledge, never stop learning, and participate in group work and peer code review. Strong background in solution and product development, with proven abilities to innovate and be creative. Candidate should be able to develop APIs. Work Timing: 6:30 PM – 3:30 AM. (Monday to Friday) No Rotating Shifts. Note: Only candidates who are willing to work in night shift may apply. We are first of its kind Supply Chain Management company in India. We manage sales order processing for the fashion/apparel industry of America. We work for fulfilling sales orders of all major retailers of America. We are your supply chain back office, think of SCM, we will take you there. We help you to minimize risk, improve forecasting and reduce cost. Our team will help you to identify weaknesses proactively and deliver more business benefits Our deep insight, knowledge, and experience in global SCM will make you the winner.